If you want to annoy Archie MacPherson, accuse the Advanced Forming Research Centre (AFRC) of being in the ‘metal bashing’ business. ‘That is like a dagger through my heart,’ he complained to The Engineer when the phrase was put to him. 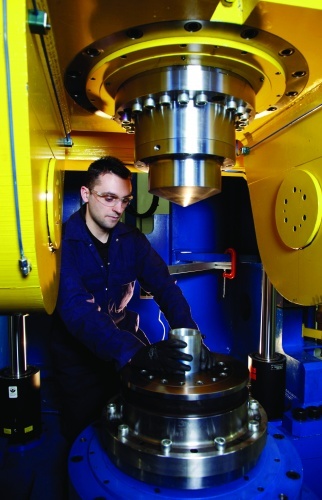 As chief executive of the AFRC — part of the High Value Manufacturing Catapult — he prefers to use ‘forging and forming’ to describe the focus of the centre’s R&D. This isn’t just a personal preference: MacPherson, who joined the AFRC 18 months ago from a career in manufacturing, is on a mission to change the view that one of the oldest industries is mere metal bashing. The term ‘advanced manufacturing’ is often used in relation to modern concepts such as 3D printing, composite materials and digital automation. 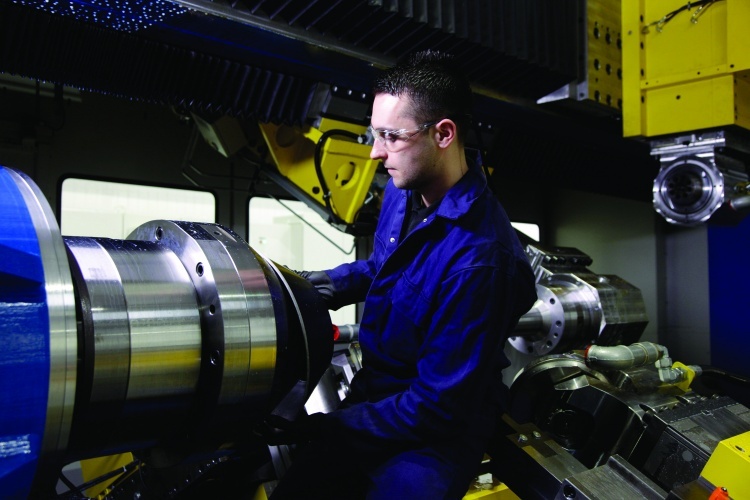 But the AFRC is interested in refining processes dating back thousands of years into highly complex, precise and efficient production techniques. The centre’s underlying skill is in shaping metal in a solid state, explained technical director Michael Ward. Forming typically means shaping sheets of metal while forging refers to manipulating ‘bulk shapes’, larger pieces of metal. Although these basic processes are commonplace on production lines, the AFRC’s role is to push the boundaries of what they can achieve, said Ward. 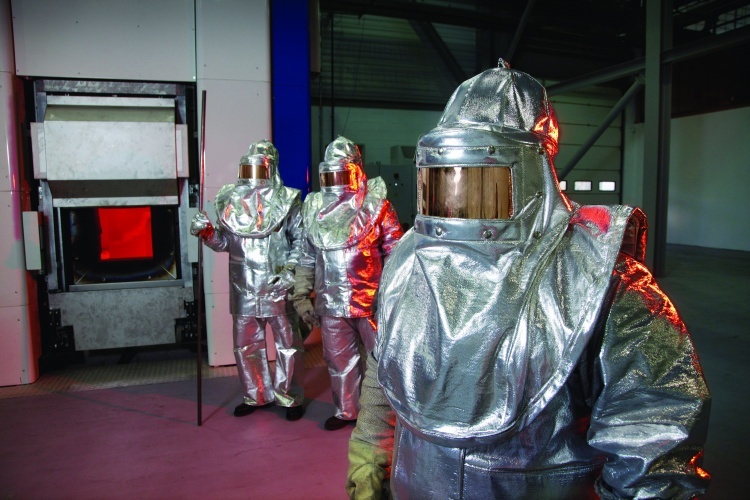 Although the £8.6m purpose-built centre located just outside Glasgow is affiliated with the University of Strathclyde, the AFRC’s facilities (eight laboratories and two large workshops) are far removed from those of the small R&D entities usually found in academia. ‘We are industry led,’ said MacPherson. 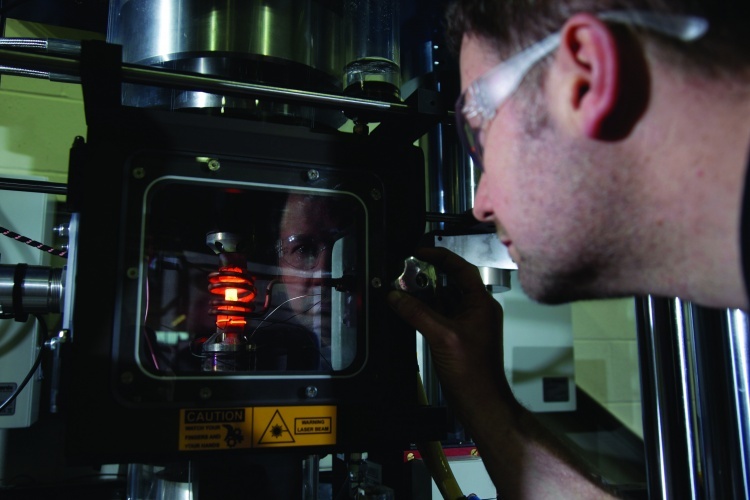 ‘We do research based on industry’s needs,’ and, as such, ‘we have industrial scale equipment.’ To confirm its high-tech aspirations, the AFRC has assembled worth £16m of hardware built to industry specifications that can ‘heat, shape, finish, measure, test and analyse metal parts and components, in house’. One piece of kit the centre is particularly proud of is its new 1200T superplastic forming (SPF) press — the world’s largest in a research setting — which has already formed fan blades for the Rolls-Royce Trent 700 aircraft engine. ‘You can’t really do superplastic forming on lab-scale equipment,’ said MacPherson. The press is part of a £2.3m high-performance SPF initiative funded by the Technology Strategy Board (TSB) and Rolls-Royce through their SAMULET programme, Strategic Affordable Manufacturing in the UK through Leading Environmental Technologies. The work on superplastic forming is about reducing the temperatures at which the process shapes metals. The process relies on using gas pressure to ‘inflate’ sheets of superplastic materials to many times their original length. It works because the original materials have very fine grains that will flow over each other in a controlled way. Because SPF inflates the material into a single die, said Ward, ‘you can achieve much more complex shapes than you would achieve through a normal process’. The centre also brings together companies and other research groups to bid for and carry out projects for various funding competitions run by the TSB. For example, the centre helped Tata Steel and specialty automotive component-developer Torotrak prepare a successful bid for £2.4m of TSB money. With the money secure, the three organisations are now collaborating on developing rotary forging — a type of cold forming (i.e. the metal isn’t heated) — to establish new production processes for the traction drive disks and rollers used by the firm’s CO2-reduction technologies. Torotrak and Tata don’t have the kit to do this on their own so instead they are using the AFRC as a test-bed facility. Ward likens rotary forging to the potter’s wheel, rather than the ‘hammer and anvil’ of conventional forging. A conical die is used to shape the metal workpiece as it spins but only comes into contact with a small part of it. This means that the tool does not have to apply such a large pressure on the workpiece to deform it. Like the finger on a potter’s wheel, ‘you are doing it quite gently over lots of iterations’. As a result, you don’t need as big a press to work the metal. And because this is a cold process, not only does it save energy but the surface of the finished item is also much better. If you have to heat the workpiece, ‘you are not going to have something that is a nice shiny mirror-like surface at the end of the hot process’, said Ward. As a 65 year veteran metallurgist I find it incredible to read that forming and forging have slipped off the radar. Does not reflect too well on the Universities. In the change to calling the degree ‘materials’ they must have forgotten the metals component. Clearly too few, perhaps none, of the lecturers had any knowledge of how both metallic and non-metallic materials were used in manufacturing. Not the only thing that ‘does not reflect too well on the Universities’ either. Though to be fair, the only ‘full’ metal bashing necessary for day-to-day mechanical items ( consumer white and brown goods, machine tools,textile machinery) apart from cars.. is ‘military’. I too am constantly amazed at the limitations in the syllabus offered to technology undergraduates. Warick’s advanced manufacturing centre a notable exception.